2.Two different ways of the Eucharist is presented in the scriptures. 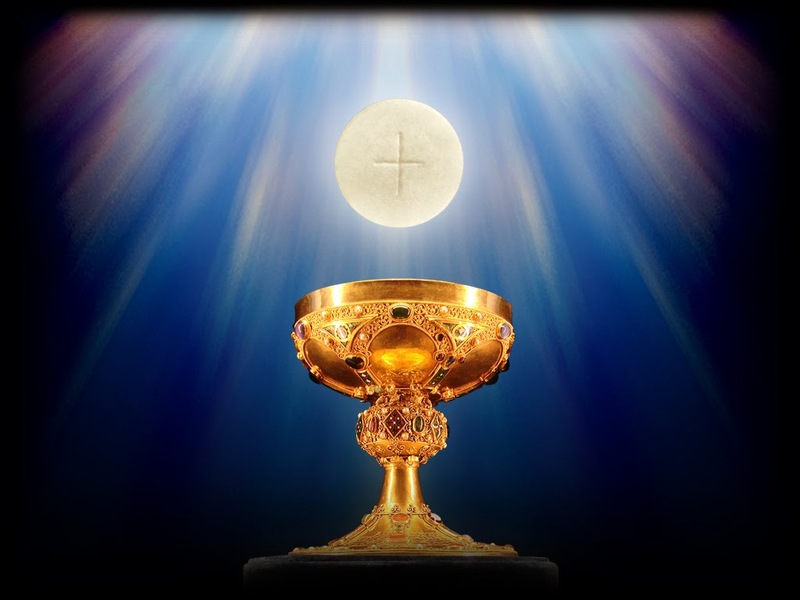 ​​For many people, the Eucharist is known as a celebration that is extremely important to the Catholic faith. For others, the Sacrament is seen as a sense of controversy that has negatively impacted many lives. In an article analyzing this controversy, Timothy Radcliffe gives specific examples referencing how the Eucharist can be seen as means of exclusion. Radcliffe explains that he doesn't necessarily fall on one side of the debate but his purpose is to share his intuitions on the subject. The first form of exclusion proposed impacts people outside the Catholic faith. The Eucharist is specific to the Catholic faith and is not inclusive for other Christians. Radcliffe then explains that the Eucharist is also considered exclusive because according to bible interpretations people who are divorced, remarried, gay or living with a partner are not to accept the Eucharist. There is also a sense of exclusion experienced by women in the Catholic faith because according to Radcliffe many women feel that they are left out of ordination and the Eucharist is seen as a male dominated activity of the church. Radcliffe explains that there is the "implicit exclusion of the poor from our celebrations of the Eucharist and our lives" (Radcliffe 158). He confirms this exclusion by explaining that there is a growing separation between the developing countries and our country. Radcliffe identifies the Church's response to these forms of exclusion and why they are necessary to the values of the Catholic faith and the practices of the Church. For example, regarding the exclusion for other Christians not receiving the Eucharist, Radcliffe explains that it is a main part of Catholicism. In order to be Roman Catholic you are “someone whose life is orientated towards receiving the body and blood of Christ” (Radcliffe 159). It is not the Catholic Church’s goal to be exclusive but rather to use the Eucharist as a celebration within their specific community. The inclusive nature of the celebration is a symbol of “the unimaginable gathering in of all of humanity into the Kingdom in Christ" (Radcliffe 160). People in the Catholic faith use the celebration of the Eucharist to unite the community and strengthen their relationship with God. According to Radcliffe, the Catholic Church explains that "the reception of the Eucharist is not just something that Catholics happen to do, and to which we might invite other Christians from time to time" (Radcliffe 159). There is a larger meaning behind receiving the body of Christ; the Catholic Church feels that if you are receiving communion you are finding your identity within Catholicism and recognizing yourself as a "future citizen of the kingdom" (Radcliffe 160). Radcliffe proposes potential objections to his explanation of the Church being inclusive of their community rather than exclusive to other Christians. For example, Radcliffe explains that many people think that baptism is a confirmation of a place in God’s kingdom. Radcliffe says that the Catholic Church would respond by saying that there is a unity created in those who are baptized. However, the unity is “concealed by the divisions between Christians" (Radcliffe 161). This controversy is something that has emerged as more and more branches of Christianity have formed. Radcliffe identifies pieces of scripture that further contribute to this debate of the Eucharist. The words that were said by Jesus while breaking the bread were “And as they were eating, he took bread, and blessed and broke it, and gave it to them and said, Take it; this is my body” (Mark 14:22). Mark’s account of the last supper reads, “This is my blood of the covenant, which is poured out for many. Truly I say to you, I shall not drink again of the fruit of the vine until that day when I drink it new in the kingdom of God” (Mark 14.22–25). Radcliffe identifies the difference between how the body and blood were distributed to the disciples. The blood is shed “for many” while there is no distinction of how many people were receiving the bread. Radcliffe explains that the cup is a symbol for the Kingdom and states, "The cup points to the Kingdom, when Jesus will drink it again and when all of God’s children will be gathered together" (Radcliffe 162). Radcliffe suggests that this tension presented in scripture suggests that the Eucharist "embodies a double-layered Christian identity" (Radcliffe 162). The way in which the different Christian groups deal with this tension is what separates them.